In most countries PROs monitor music used by businesses. This means you will most likely or already have had dealings with such organizations in your company (PRS in the UK). Even if you use our royalty free music you may still get approached by these agencies asking you to pay additional licenses. This is because it is the agencies job to contact companies who are using music and they assume you don't have a license if you are not in their database. In the case of our music the composers have signed an agreement to waive additional royalty collections from agencies for on-hold use. This means that you can use our music in your on-hold system without further payments. If you do get contacted by collecting societies then we can confirm that the composer has been paid directly and that you have a license to use the music from Media Music Now. In our experience this has always been enough to dissuade collection societies from contacting you in the future. Although we can assure PRO's that your license has been paid, many composers join a PRO to benefit if their music is used in TV, Radio or Film. The downside is that PRO's don't always acknowledge the right of the composer to also earn income via other services (such as ours). The result is they may contact you and ask for proof of your license (which we readily provide). This can be an inconvenience, so to avoid this we have made list of music that is definitely not in any PRO. Typically they will call and ask you for the title of the music and the composer. If it is not in their database they cannot ask for proof of licensing. If you want further assurance, please take a look at our PRO free - Public safe music. 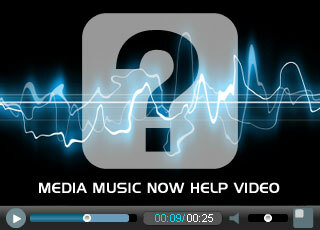 If you do have any problems with PRO's when using our music please feel free to get in touch for help. Please note: we can only assist with music licensed from us.